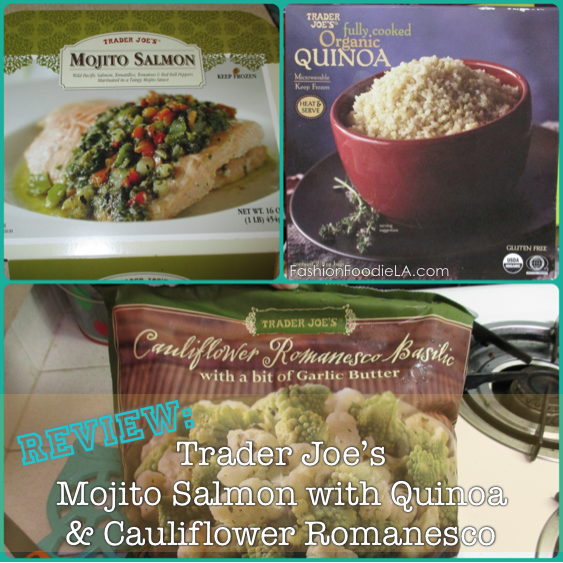 The Mojito Salmon is great paired with quinoa and veggies. 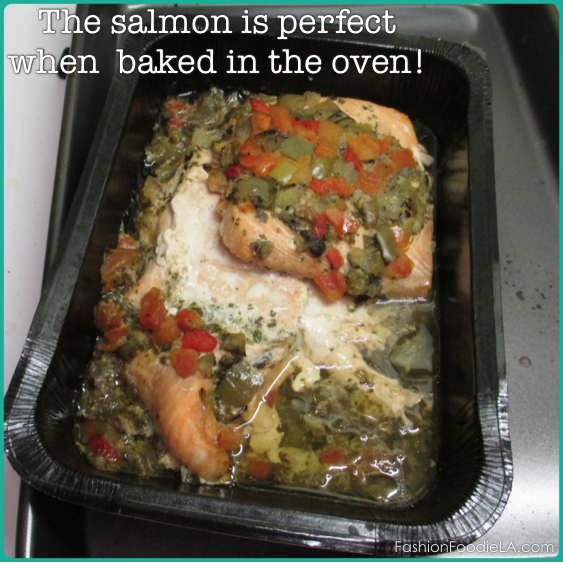 When you bake the Mojito Salmon in the oven, it does not dry out. I made the Cauliflower Romanesco mix on the stovetop and microwaved the quinoa. Honestly, a super easy dinner! Did it look like the photo on the packaging when you were done? Yes! It was perfectly cooked (I followed the directions) and everything came out great. Were the instructions easy to follow? Super easy!! Bake in the oven and 10 minutes before it is done, remove the foil and continue to bake, then bake the veggies on the stovetop and put the quinoa in the microwave. What did you particularly like or dislike about the meal? I really like how easy this dinner is to make. The pan used for the veggies on the stovetop is the only baking dish you have to clean! If a meal is affordable, healthy, easy, and delicious it is a winner in my book! Recipe alterations or any changes you made: None. Would you make it again? Yes. 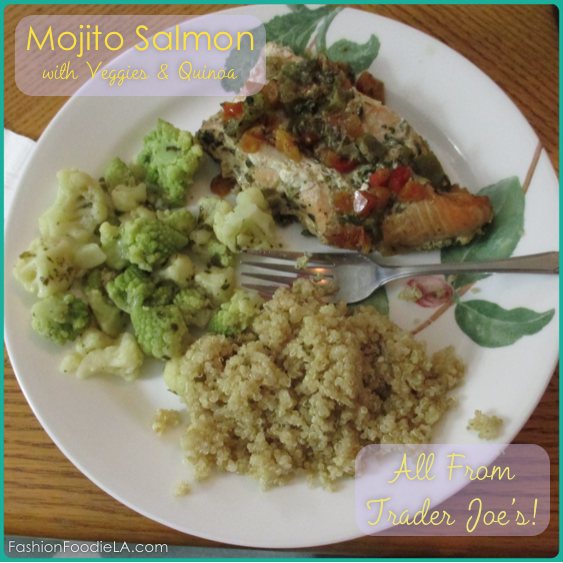 The mojito salmon is super tasty and I would expect to spend a lot on a dish like this if I went out to eat - But getting it all from Trader Joe's and baking it myself makes it an affordable and easy dinner. Would you recommend it to others? Yes! This meal is extremely easy and tasty. I love it! Unboxing My Tieks! They have arrived! Yay!!! !